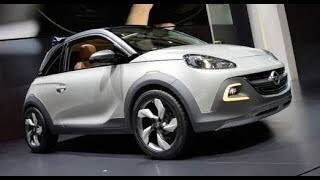 Vauxhall will be unveiling a new concept version of the Adam, called the Adam Rocks Concept, an urban mini-crossover, at the 2013 Geneva Motor Show next month. 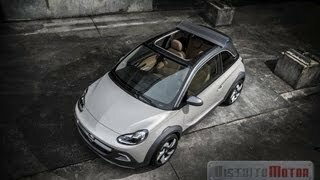 The concept is taller, wider, tougher yet more compact in appearance, while offering a cabrio roof. 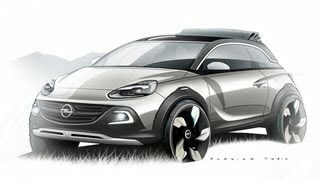 Adam Rocks Concept body style is supported by a chassis that is raised 15mm with a 20mm wider stance. 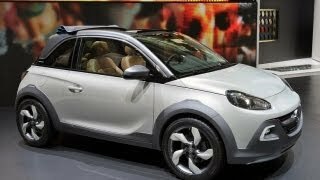 The Concept combines the toughness of a crossover with the coolness of open air driving. Further details will be disclosed at its debut next month….